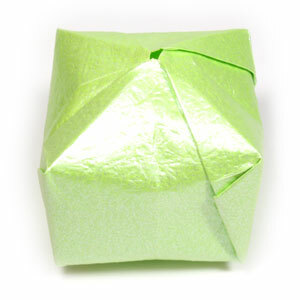 This page is for those who want the instruction to fold a new origami ball. 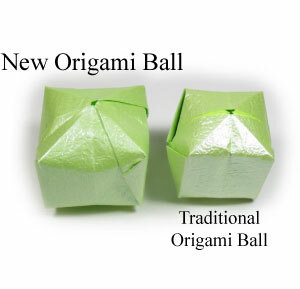 In my opinion, this origami ball is easier to make compare to the traditional origami ball although it is based on the same balloon base. You may use any kind of paper to fold the origami ball. It is a little easier if the front and the back side of the paper are slightly different whether it be in texture or color. Make sure the paper that you use is a square (all sides are equal and all the angles equal 90 degrees). 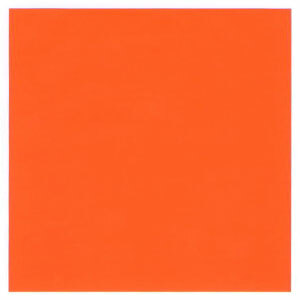 The paper I am using here is 15cm x 15cm square origami paper. It is a good size for those who are not experienced in paper folding. If you are become familiar with this model. Then you can try smaller size paper. This is the front side of origami paper. 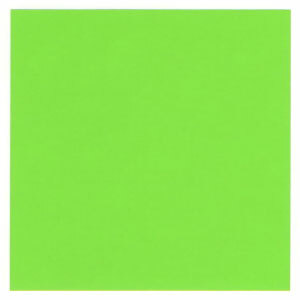 Here I am using an origami paper with two different color.